Selenium is an essential element with remarkable chemical properties. The similarity to sulphur results in a number of chemical interactions mainly connected to thiols and redox processes. The element modulates cell growth; in low concentrations it is absolutely required for growth and an essential component of serum free growth media. However moderate to high concentrations potently inhibit cell growth. The inhibitory effects are tumour specific and selenium induces apoptosis in malignant cells at concentrations that do not affect the viability of normal cells. Depending on concentration and chemical form selenium may prevent or treat tumour disease. Selenium supplementation has been found to be of value in preventing hepatocellular cancer by hepatitis B, in reducing the incidence of liver cancer in general and in decreasing mortality of colorectal, lung and prostate cancer. This review focuses on the current knowledge of the preventive effects of selenium with special emphasis on major human tumours. The unique chemical properties along with metabolism and preventive mechanisms are also discussed. Selenium was discovered by Berzelius in 1818 . Already in the original publication the striking similarity to sulphur and tellurium was described. However, there are a few important differences between selenium and sulphur explaining the major biological effects that are observed in biomolecules where selenium is in place of sulphur. The atomic radius of selenium (1.79 Å) is slightly larger and the electronegativity slightly lower than that of sulphur. Both elements exist naturally in five different valence states: −2, 0, +2, +4, and +6 and all sulphur compounds have selenium analogues as exemplified in Table 1. Selenium oxides are strong oxidising agents and selenium compounds with selenium in the higher oxidation states are less stable compared to the corresponding sulphur compounds . Selenols are relatively strong acids and the pKa of the selenol in selenocysteine is 5.24 compared to 8.25 for the thiol of cysteine . Thus, at physiological pH the selenol of selenocysteine exists in the anionic form whereas the thiol in cysteine exists in the protonated form. This property together with the larger atomic radius and higher nucleophilicity of selenium can explain the differences in the properties of proteins containing selenocysteine compared to those with cysteine. However in selenomethionine the relatively more reactive nucleophilic selenium is blocked by a methyl group explaining why proteins containing selenomethionine have similar properties compared to methionine containing proteins. The similarities together with the small differences between selenium containing biomolecules and their sulphur counterparts explain the importance of selenium for cell growth, proliferation and tumour prevention. The similarity to sulphur is also reflected in the metabolism of selenium. Selenomethionine and selenocysteine are indiscriminately incorporated into proteins instead of methionine and cysteine since the tRNAs cannot discriminate the selenium from the sulphur form. The presence of selenocysteine in place of cysteine may alter tertiary structures of proteins and also the activity of redox proteins if selenocysteine is incorporated at critical positions i.e. active sites or regulatory units. Selenomethionine is incorporated mainly in albumin, and thereby stored as an inactive form, with the consequent delay of metabolism . Supplementation with selenomethionine will thus lead to a prolonged increase in total plasma selenium but a small or no fraction of active selenium. Eventually selenomethionine may be converted to selenocysteine by the transelenation reaction  or undergo cleavage of the carbon-selenium link by gamma lyase, the latter reaction however is believed to be of minor importance in mammals . Selenocysteine is cleaved by beta-lyase to alanine and selenide . The appearance of selenium trisulfides may cross-link proteins resulting in impaired protein function and this mechanism may explain some pharmacological/toxic effects of selenium . Furthermore a number of chemical modifications of the active sites of redox proteins may markedly influence the activity and form the base for the diverse biological effects of selenium (Fig. 1). GS-Se-SG is also reduced to selenide anaerobically. In the presence of oxygen, selenide redox cycles with oxygen leading to a non-stoichiometric consumption of NADPH [10, 11]. Redox active selenium compounds are effectively reduced by free cysteine. This reaction may be of particular importance since a reducing environment, with high amounts of free thiols, will facilitate selenium uptake . Selenomethylselenocysteine (SeMSeC) is a natural monomethylated species found in plants e.g. garlic, onions and broccoli. The molecule is inert but in the presence of beta-lyase the highly reactive monomethylselenol (CH3SeH) will appear [6, 14]. Like selenide monomethylselenol will redox cycle with oxygen . Monomethylselenol may undergo methylation to dimethylselenide ((CH3)2Se) or trimethylselenonium ((CH3)3Se+) or demethylation by demythylase to selenide [6, 14]. One central role of selenium is the presence of this element in selenoproteins. There are 25 known selenoproteins  with diverse functions. In this group several important redox enzymes are found including the glutathione peroxidase family and thioredoxin reductases . The synthesis of selenoproteins is complex and the incorporation of selenocysteine at an exact position within a selenoprotein follow a unique mechanism  requiring the efficient production of selenide. Physiological as well as preventive effects of selenium are not solely explained by selenoproteins but also by redox modulations and redox cycles further treated in the following sections. This means that redox active selenium compounds that are precursors to selenide and monomethylselenol e.g. selenite, GS-Se-SG and selenomethylselenocysteine are particularly relevant as supplements. In Fig. 2 the precursors, key metabolites and the relation to antitumour effects are summarised. The fraction of selenide that is not used for selenoprotein synthesis is either metabolised to selenosugar, 1-Glutathionylseleno-N-acetyl-D-galactosamine and 1-methylseleno-N-acetyl-D-galactosamine [14, 19] or methylated to trimethylselenonium prior to excretion . Selenium has a long history as a cancer preventive agent. Several (more than 100) animal studies are reported supporting cancer preventive effects, but animal studies are often difficult to translate to humans why this review focuses on human trials. A few population studies addressing total cancer incidence have been published [21, 22, 23, 24] and the results are far clearer with selenium compared to other so-called antioxidant [25, 26] where many contradictory data are present. Some of these studies show a correlation between low serum selenium levels and increased incidence of mainly breast cancer , gastrointestinal cancers  and prostate cancer . The major effects of supplementation have been observed in the incidences of colorectal-, lung and prostate cancers along with a drastic decrease in the total cancer mortality by 50% . There is also a clear correlation to dose and the base line selenium status of the study population . In the case of prostate cancer beneficial effects are clear only in populations with a low base line selenium level and a low intake [31, 32, 33]. Prevention of liver cancer has been observed in endemic areas of hepatocellular carcinoma and hepatitis in China. In the studies selenium was supplemented in the table salt where the study population were given up to 50 micrograms daily. The study population was matched to a control group and after 8 years the incidence of hepatocellular carcinoma was 35% reduced in the selenium-supplemented group [34, 35]. A further trial exclusively including patients with hepatitis B revealed a clear decrease in the incidence of hepatocellular carcinoma; seven out of 113 patients had developed HCC in the control group compared to none in the selenium group . These studies show remarkable effects of selenium in the prevention of tumours and also clearly demonstrate the unique properties of selenium compared to other antioxidants. As will be discussed below selenium is far from just an antioxidant and the mechanism of prevention is complex including both antioxidant, prooxidant and redox regulatory effects. These important distinctions explain the differences between selenium and all traditional antioxidants lacking clear and consequent cancer preventive effects. 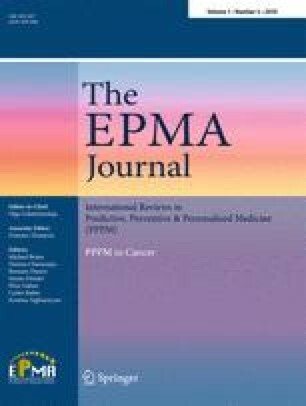 There was a great disappointment in the field of selenium-mediated cancer chemoprevention in 2009 when the SELECT-trial was closed prior to schedule due to lack of effects and non-significant increase in the incidence of prostate cancer in the vitamin E group compared to control along with a non-significant increase in the incidence of diabetes type II in the selenium group . The design of this trial was different compared to previously published positive trials on three levels; first selenomethionine was used, second selenium was mixed with high doses of vitamin E, third the study population was only men with a high basal level of selenium and a high intake . In previous studies selenised yeast has been used or inorganic redox active selenium. Selenised yeast is a mixture of methylated species where the main fraction is selenomethionine . However even other methylated species are included as exemplified by the highly active selenomethylselenocysteine that is the precursor to monomethylselenol [20, 38]. This is an important difference that may be a contributing factor to the disappointing results. Furthermore, vitamin E in high doses might abolish redox effects by active selenium compounds whereby interfering with the action of selenium in a negative way (further discussed in the section below). The data underline the importance to consider study population and selenium species before starting a large scale prevention study. Furthermore, in order to monitor the selenium uptake and efficacy of chemical species administered, biomarkers shold be considered. By such biomarkers, the metabolic status could be followed at an individual level, thereby avoiding false conclusions . Selenium compounds can affect carcinogenesis at different stages of the process (Fig. 1) and vary depending on the form of selenium administered. The underlying molecular mechanism is not entirely understood even though several biochemical/biological processes have been identified . Furthermore, the effects observed occurs at systemic, cellular and molecular level, including gene expression and direct protein alterations . The antioxidant role of selenium is believed to be the most important preventive effect at very early prenepolastic onset. The antioxidant effects can in turn be almost directly attributed to redox active selenoproteins, as selenium mainly exerts its antioxidant function as a constituent of selenocystein containing selenoproteins, were selenium supplementation increases their levels . These proteins play a central role in upholding the redox homeostasis within the cell acting as ROS detoxifying agents, and thus reducing the intracellular environment . In addition to the reduction of oxygen species they play a crucial role in reducing intra- and intermolecular disulfides or mixed disulfides/selenides. Selenoproteins like thioredoxin reductase and glutathione peroxidase have via their role as redox regulators in the cell, affecting many biological processes, a most certain cancer preventive role . However, their role has been shown to be far more complex as their cytoprotective effects in established tumours have been shown to turn them into cancer promoting agents. Apart form acting as cancer promoting agents, these proteins have also been implicated in drug resistance for several cytostatic agents . Another important property of selenium in cancer prevention is its chemical ability to interact with metals, as several metals have been reported to increase the risk of cancers . Selenium has been described to interact with metals like Au, Pt, Cd, Co and Hg etc [43, 44]. Cadmium is for instance one key element for developing prostate and breast cancer and selenium have been reported to protect against cadmium induced peroxidative damage . Several of these metals can react and inhibit essential proteins like thioredoxin reductase, and may thus exert their toxic effect by modulating the redox balance in the cell. Selenium in this case acts as a detoxifying agent by chelating the metal. In a reverse manner metals like copper have a protective effect against dietary selenium toxicity . Several genomic approaches have been used to elucidate the cancer preventing effects of selenium. It is evident from these studies that selenium can counteract tumour progression by reversing the expression of genes implicated in carcinogenesis . Several genes have been identified including upregulation of genes related to phase II detoxifying enzymes , tumour suppressor genes, selected apoptotic genes including certain caspases. In addition selenium has been shown to alter the expression of genes associated to cell cycle regulation in a manner that is consistent with growth inhibition . Proteomic studies have also been performed after selenium supplementation showing clear differences in the abundance of some proteins . It is strongly believed that the major effects seen by selenium compounds in the latter stages of carcinogenesis can be ascribed to the prooxidative effects of selenium with redox cycling and ROS production as the main source of action . The ROS production is a result of redox cycling of redox active selenium compounds with oxygen, resulting in a massive non stoichiometric production of mainly superoxide  with an altered and more oxidative redox balance (Fig. 2), which may eventually lead to cell death. The redox active selenium metabolites, like selenide, also cause thiol oxidation (Fig. 3). The oxidation of the structural cyteine residues leads to a thiol modification, which directly inhibits several proteins, including signalling molecules, enzymes, tumour suppressors and transcription factors. Among these are caspases, p53, AP-1, Sp1, NFkB, ASK-1 and JNK [53, 54, 55, 56]. The function of many of these proteins is in turn regulated through thiol modification by thioredoxin . Redox active selenium compounds can all induce apoptosis, but their mechanism of action differs. Selenide induces a primarily caspase independent apoptosis generating DNA strand breaks, activation of p38, induction of p21 and p53. In addition selenide accumulates Bax and downregulates Bcl-2. Monomethylselenol on the other hand induces apoptosis in a caspase dependent manner, upregulating p21 and p16. Furthermore, selenide will cause arrest in S-phase wile treatment with monomethylselenol results in G1 arrest. Selenium compounds are also known to inhibit Erk, AR, Akt, cyclins, and CDKs, thus inhibiting cell cycle, growth and proliferation [58, 59]. Several studies have shown that selenium compounds prevent tumour development during the progression phase of the carcinogenic process  and that these effects are tumour specific [61, 62]. A recent study show that the tumour specific effect of selenium can be explained by the extracellular redox environment, where a more reducing environment (often accounted for by the tumour cells) favours selenium uptake causing a tumour selective killing of the cell . In addition selenium treatment can impair microvascular development  and affect the vascular endothelial growth factor (VEGF) and thereby contributing to anti-angiogenesis . Through down regulation of genes such as osteopontin and collagen, selenium also counteracts metastasis [65, 66]. The tumour specific toxicity together with the anti-angiogenetic and anti-metastatic effects of selenium makes it a highly interesting agent in the arena of chemotherapy. Selenium is unique among the antioxidants and a great body of evidence clearly show the potential of this element in large-scale general prevention of human cancers. Prevention is exerted through several different complex mechanisms and in all stages of the carcinogenic process. The chemical properties explain these effects where redox activity is the key factor. For this reason only redox active selenium compounds or precursors to these compounds are the only rational choice in prevention studies. Selenium compounds are generally cheap and in the correct dose harmless why selenium supplementation is an attractive and achievable way to reach decreased cancer incidences for the benefit of large groups of people worldwide. If only a fraction of the results indicated in the positive correctly performed trials could be reached in a large scale this would have a great impact to reduce healthcare expenses and human suffering. This work was supported by grants from The Swedish Cancer Society, The Swedish Cancer and Allergy Foundation, Stockholm County Council and Radiumhemmets forskningsfonder.